In village of character in the heart of the natural park of Queyras, lodging in the House of the owner, entrance on the ground floor with terrace. 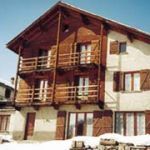 Near b & b access to the ski resort of Molines-St-Véran, circuits of hiking, mountain biking, cycling, Nordic skiing has cottage of a living kitchen, TV, washing machine, 1 bedroom (1 bed 2 pers., 1 bed 1 pers), bathroom, wc, central heating and electric. Garden furniture, barbecue. 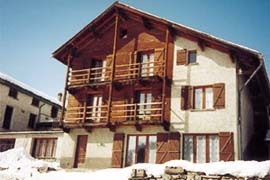 Ski room.